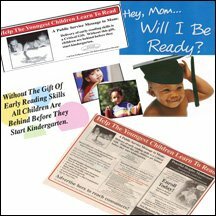 Business and economics to set the executive veteran owner up to influence delivery of the pre-k children to kindergarten ready to read, count and understand positive direction. Choose to work from USA Positive Expectations or USAVALUESCOUPONS Supporting Local Businesses with attraction and saturation marketing for the owner. Business opportunity that will directly prompt positive expectation messages. The veteran employment opportunity in a local business community will position veterans in a new industry. The Distribution Program for USA VALUES, LLC products is in final development. It is being designed to pay the distributor 25-40% of product sales. There is a $100 per year fee to be a distributor. Definitions of kindergarten teacher requirements for early learning must lead the way to a new industry guarantee, the use of revenue bonds and business investment, if required. Real Estate Values are affected because reading converts to employability. Where children are increasingly delivered to kindergarten, in a locality, ready to read, the values will rise because of site selectors. Executive Small Business Veterans can reduce start up risks for everyone by advertising to 100% of the residents in a local area network (USA VALUES, LLC media) and supporting other businesses who must do the same with online coupons and twitter followers. Report Outlines Early Childhood Quality Rating Improvement System - A Report Requested by the Minnesota Legislature from the Minnesota Departments of Human Services and Education - Proposes Standards and Indicators to Measure the Quality of Early Child Care Programs if a Statewide System were Implemented. Please Take Special Note Of this report starting on page 40,but you must read page 50 to the end. The remainder of this section summarizes the consulting team’s qualitative analysis of the major technical/content, system, and policy issues raised by stakeholders. Reporters are listed on page 40. USA VALUES, LLC thinks they indirectly said it can not work for 100% of the children in the State. Why measure what would be a clear failure of independent businesses in meeting a new government requirement. I ask -- Logic says the private sector customer requirement and industry needs PR and Public Service Messaging and the resources of a steady large "customer" before the delivery resources are added to make it a success for 100% of the age 0-6 children? Along that route of continuous improvement the focus on those most at risk from the bottoms up clearly becomes first things first for the district, not the State or a new Silo within the state.